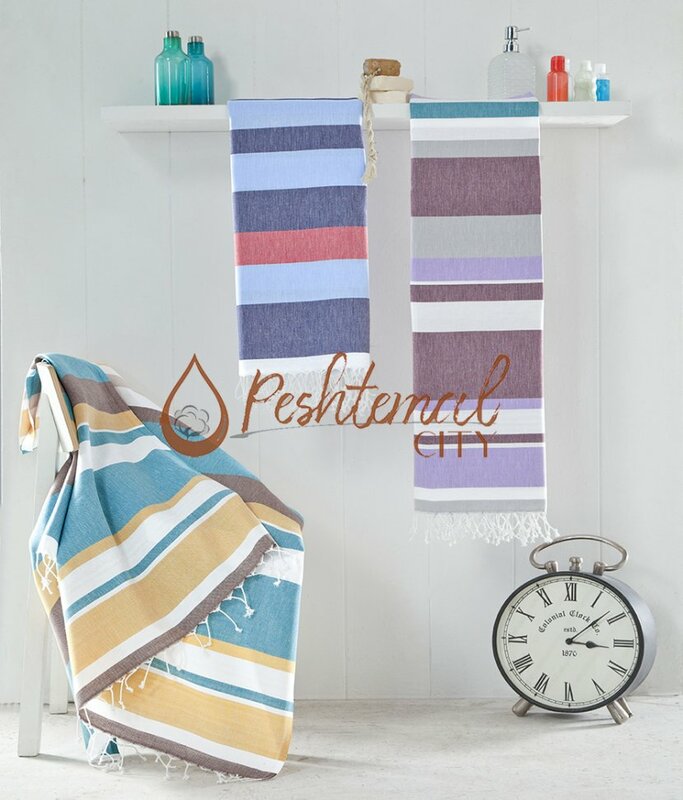 One of our latest fashion Fouta towel designs, Wise Peshtemal has a traditional design. It has multiple single-colored blocks on its design completed with thick, white fringes at both ends. We offer a variety of color options for you to choose and create a stylish combination or use it as an elegant decorative item in your bathrooms and kitchen. Wise Peshtemal is woven 100% from premium quality Turkish cotton. It is a highly absorbent, quick-drying, durable, and soft Fouta towel. With a weight of only 300 grams and a size of 100x180 centimeters, Wise Peshtemal is also easy-to-pack. Its perfect texture along with its elegant design makes Wise Peshtemal the perfect alternative for ordinary terry towels.